Agrīnie pasažieru saraksti parasti ietver kuģa vārdu, pasažieru vārdus, vecumu, aizbraukšanas un ierašanās ostu nosaukumus, datumus, izcelsmes valsti un nodarbošanos. 20th century lists include even more details, giving the town or county of origin, and the names of other family members, destination, physical description, and more. 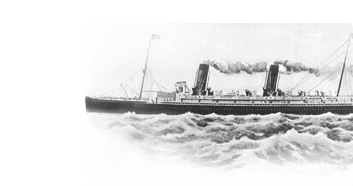 Passenger lists are typically used by genealogists to document their immigrant ancestor's trip to their new country but also when they were visiting relatives, traveling for business, or for pleasure. Piemēri: namdaris vai "SS Anglia"